Troubled by pesky spots and blackheads? 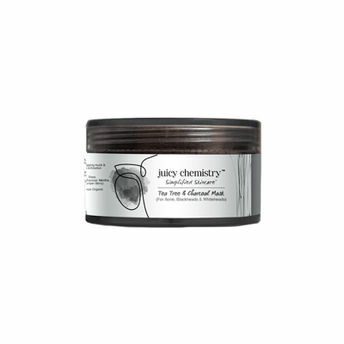 The Juicy Chemistry Organic Tea Tree & Charcoal Mask is a super-duper mask that will come to your rescue! Charcoal draws out pore-clogging muck and tea-tree oil acts as an antiseptic. Peppermint oil perks up your skin and improves circulation, and ground almonds provide extra exfoliation leaving your skin clean and trouble-free. Explore the entire range of Masks & Peels available on Nykaa. 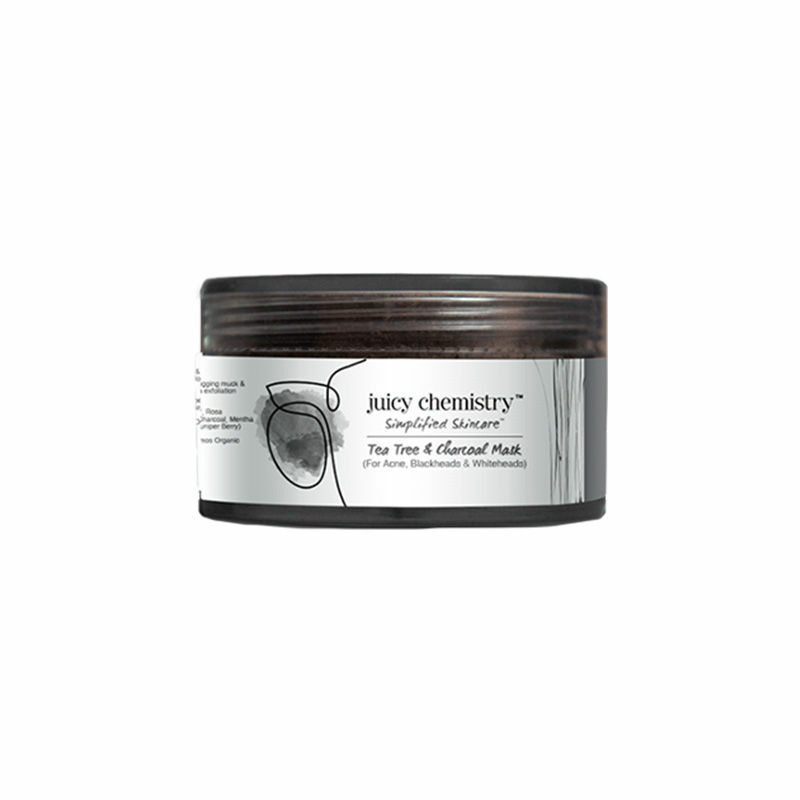 Shop more Juicy Chemistry products here.You can browse through the complete world of Juicy Chemistry Masks & Peels .